In today’s mixed martial arts arena, rankings are not enough to earn your way to a title shot. In fact, they seem more like protective measures for the UFC, to decide who gets what opportunities within its promotion. 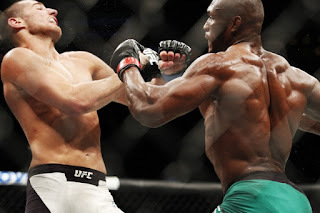 On Saturday at UFC Fight Night 129, Kamaru Usman picked up an important win against Demian Maia. Even though he’s one of few people to defeat the Brazilian grappling ace, it will not be an easy path for Usman to get to a title shot any time soon. For five rounds Usman dominated Maia as he worked his way toward a unanimous decision victory, taking the scorecards 49-46, 49-46, and 50-45. This was Usman’s second win against a ranked opponent and his 12th straight, dating back to 2013. The NCAA Division II champion believes he’s poised for a run at Tyron Woodley’s welterweight title, but he shouldn’t expect that shot to come at any point in the near future. Those words are customary in the industry today, as everyone attempts to call out opponents ranked ahead of them. While they are effective for some, they are a waste of time for others. Usman has to wait behind the planned fight between Rafael dos Anjos and Colby Covington at UFC 225. These two men are poised to battle for an unneeded interim welterweight title, with the winner to face Woodley sometime in the future. That leaves Usman out of the running for a shot at the belt until early 2019. The question becomes, what should Usman do in the meantime? After his performance on Saturday night, Woodley suggested that Usman should face former Strikeforce title challenger Jorge Masvidal. “Gamebred” is riding a two-fight losing streak, to Maia and Stephen Thompson. The current UFC rankings have Masvidal in the Top 10, but his ranking should change once they are updated later this week. And depending on where Usman ends up, he could be in a situation where all the fighters ranked above him will be in scheduled fights. This is exactly the situation that caused a backlog at 170 pounds and slowed down any movement within the rankings. 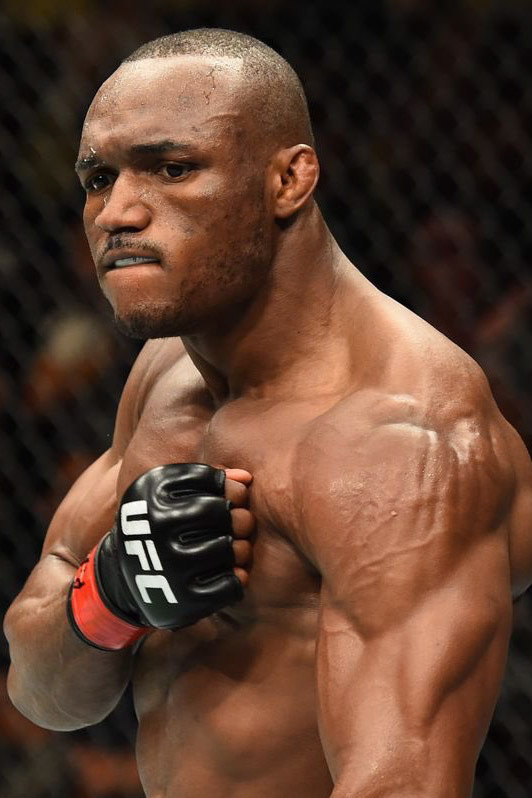 So do not be surprised if Usman takes to the waiting game instead of taking a fight against anyone ranked below him. The Nigerian-born wrestler lacks that highlight reel win that would push him into the title conversation, but that’s unlikely, given his fighting style. His last stoppage came at UFC Fight Night 116 against Sergio Moraes his second in the seven Octagon wins he's accumulated since his UFC debut in 2015. That style has led to many fans criticizing Usman, limiting his upward mobility in the organization, and making a fight against a lower-ranked opponent more risk than potential reward. 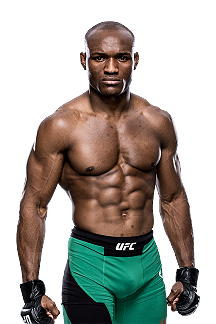 It’s way too early to make the call on his potential, but it’s clear that Kamaru Usman is a talent that has broken through at 170 pounds. However, even after a big win over a former title challenger in one of the toughest divisions in the sport, he still needs more than a little luck to position himself for a title shot. Time will certainly tell. 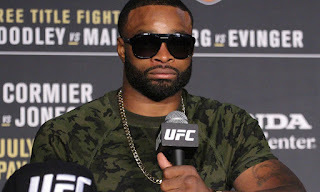 UFC Fight Night 129: Maia vs. Usman (formerly UFC Fight Night 129: Usman vs. Ponzinibbio) took place May 19, 2018 at Movistar Arena in Santiago, Chile.